Town Park is a lovely Park with many shade trees, picnic tables, playground equipment and a small pavillion with BBQ grill. 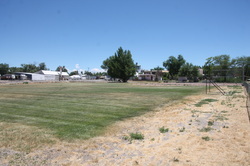 This park is available for rent for parties, events or simple gatherings. Lion's Park originaly was the home of the Olathe Pirate football team. It was later given to the Town of Olathe and developed into baseball/softball fields, and maintained by the Lion's Club. 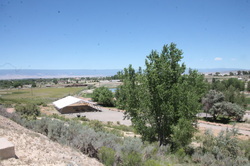 Sugar Beet Park is a great park for pick-up games of baseball or softball. It is the home field for Olathe's Girls Softball team. It has dugouts, bleachers and bathrooms. A small park with playground equipment and picnic table. A great park for neighborhood families to enjoy. Enjoy a rest under beautiful trees. The Olathe Christmas tree stands in Pocket Park and is lit every year for the Holiday Season.